Are you looking for the best 10 minute mail alternatives? Well, you are at the right place as I am going to share 7 best sites like 10 minute mail. The name of 10 minute mail itself suggests that it provides mail services for 10 minutes. Due to the advancement in technology, the digital era has got to a much higher level. With many pros, digital technology has got some cons too. One of the major difficulty that people face is the stealing of their data. Due to this, almost every person in the field of technology wants to remain safe and secure. Many of the times, people become fed up when they receive thousands of spam emails. This is due to the submission of personal email on non-trusted sites. 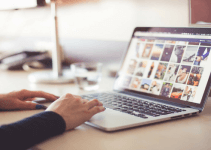 Therefore, to get out of these particular problems, we have made a list of the best 10 minute mail alternative websites. We have also shared DNS benchmarking tools for you. Many of the times people get confused about which temporary mail platform to use. This is because of the vast availability of the sources. Many of these temporary mail sites had been shut down and didn’t work anymore. And most of these websites usually get blocked by the sites. That is why we always need to find new temporary emails. Therefore, for solving this issue, we have handpicked 7 best sites like 10 minute mail. We also shared these Wireshark alternatives. Mailinator is one of the best 10 minute mail alternatives. Like the 10 minute mail, it also provides disposable mail id’s for free. The user-interface of mailinator is quite similar to that of 10 minute mail. Moreover, mailinator provides temporary mail services for a few hours. If you want to be sure about your protection over the web, then using this 10 minute mail alternative might be the best consideration. Setting-up on mailinator is an easy task. Moreover, it doesn’t require signing up. You just have to log in to their website and start using their services for free. While using mailinator, you must keep in mind that the mail you are using is entirely public. Anyone surfing on mailinator can view the emails you are receiving. Also, you can only receive emails and can’t send them through the temporary mail provided by mailinator. Also check: Check Who viewed your FB profile. Guerrilla Mail is among the most popular and widely used 10 minute mail alternatives. Till now, it has served more than 10,997,116,135+ emails. The best thing about this 10 minute mail alternative is that it provides several features for the privacy and protection of the user. 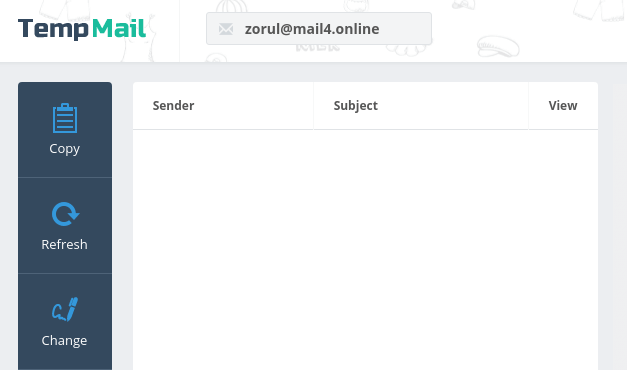 The user-interface of this temporary mail generator is quite smooth and ads free. This makes it quite easy to use and navigate. It gives you access to use the temporary email on any website. This will surely help you in saving your mail from all kinds of threats and spams. Moreover, any non-technical person can also use it without any difficulty. Third, on the list of 7 best 10 minute mail alternatives is the Maildrop. If you are looking to protect your email from any threats and spams, then this might be the best consideration for you. It doesn’t require any personal information. Moreover, Maildrop is quite easy to use due to the smooth and light user interface. It is one of the best temporary mail platforms which can effectively enhance your security. Like the 10 minute mail, using it is quite simple. You just have to jump on to their website and get the email id. The random email-id provided by Maildrop can be used on almost every platform. From the name, it resembles that it generates fake emails for temporary functioning. But with being fake, it is quite helpful too. Fake Mail generator provides you an opportunity to use its basic features which make its use more interesting. 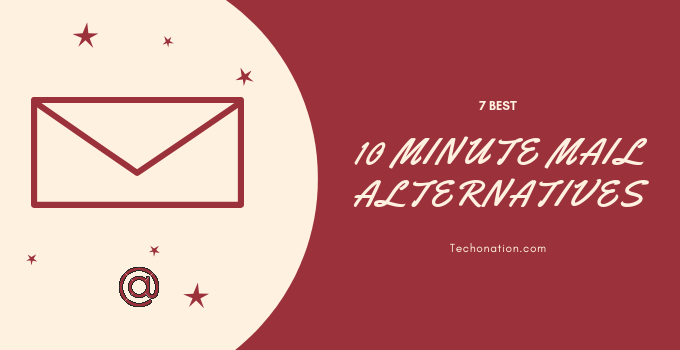 Moreover, it is one of the best in the list of 7 best 10 minute mail alternative. Generating a temporary email is quite easy with the fake-mail generator. You just have to switch to the website, and you will be provided with your email id name. It has a lot of email ids. You can get every name that you can think in your mind. The fifth site on the list of best 10 minute mail alternatives is Temp Mail. It provides temporary mail for disposable or short-time usage. It is one of the best temporary mail generators which generates temporary emails for free. It doesn’t even require any sign-up and other procedures. It’s quite easy to use. Moreover, you can get access to your disposable email by merely logging on to their website and choosing one which is displayed. You must know that as it is temporary, it will vanish and you will lose access in a few hours or more. If you want a super simple website which could provide you disposable emails, then this might be the best choice. The user-interface of getairmail is quite simple and smooth, thereby making it more easy to use. To get the disposable email quickly and in one tap, log on to getairmail and click on the button ‘Get Temporary Mail’ which has been placed at the center of the web page. The best thing about getairmail is security and other features. You can also change your disposable address and choose your own choice which you like. One of the best disposable email generator and alternative to 10 minute mail is Bouncr. The best thing about this is that it is entirely different from others. For getting access to the disposable emails from Bouncr, you have to first sign with your email. As soon as you sign up, it generates an email on your email id. You can just follow up the link provided in it to get access to the disposable email. Here you can edit, check or delete your new disposable email address. The disposable email provided by Bouncr can be used on almost every platform. Well, that was all for 7 best 10 minute mail alternatives. These temporary mail generators are working fine. Moreover, the email addresses provided by them are mostly not blocked by web forms. This ensures that the disposable emails provided by the above 10 minute mail alternatives can be easily used on almost all the platforms. If you know any other temporary email provider services which work for you, then please consider sharing it in the comment section. And if you have any other query, suggestion or feedback then let us know in the comment section.